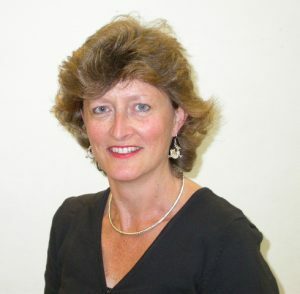 Philippa Topham is our UK clinician and over the next few months will be travelling around the UK presenting workshops on the Adult Piano Adventures curriculum. Apparently music was the only thing that would put me to sleep as a baby! I remember watching my grandmother playing the piano. Then I was lucky enough to have a superb class music teacher in my state primary school — and I just wanted to be her! I always remember simply loving music in all its forms. ​Like most people I had private music lessons and then I went to study full time at the Royal Northern College of Music, followed by a Postgraduate course in education at Manchester University. ​I have been Head of Music in various schools in UK and Dubai, and also been a peripatetic for a short time before deciding to teach full time at home since 2003, alongside accompanying, examining, mentoring, adjudicating, and singing in care homes. ​I have been teaching since I was aged 17, so more years than I care to report! You could say — a lifetime of teaching, because I love it! How many students do you typically teach in a semester/year? I have just left 32 private pupils in Haslemere and moved to Swanage in Dorset where I am setting up all over again! I would say the most important aspect of teaching is the material one uses — if the student likes the music they are learning there are rarely problems with practice! And variety — I like to cover music of all styles. ​I teach all ages from 3 to about 73+, and as many adults as children. How did you find out about Piano Adventures? ​I really cannot remember as it was so long ago, but know it was definitely My First Piano Adventure for the very smallest children that set me off on this wonderful journey. How long have you done workshops & Clinics? ​Since 2008 for ABRSM, Hal Leonard and freelance. In one word — they are FUN, and it has been shown that the brain learns best when in a happy state. Tell us about some of the successes you’ve had with PA.
​Many pupils have gone onto higher things — one who started with me on My First Piano Adventures is now on Grade 7, and gained Distinctions at all the exams she chose to take. Besides PA, are there other materials that you find effective? ​I have a huge library of materials, most of which are American because I like the way they approach pedagogy. I am constantly incorporating new materials which work well, many of which I come across on the internet. I like to use fun rote pieces and improvising to free up the brain away from visual notation. Many students have won prizes in festivals, and several have become teachers themselves, one even has her own large music school in Dubai. Another changes lives through music in New Zealand. So I think of teaching as ever‐increasing ripples in a pond, where your influence can go on forever! To find out if Philippa will be in a town near you head over to our Events Page.